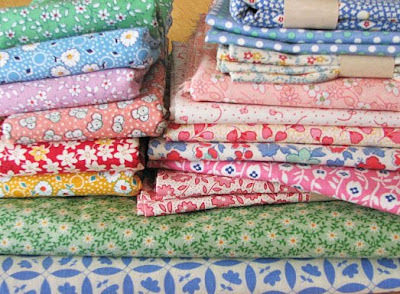 i promised myself that i wasn't going to buy any more fabric, the idea is that i was going to use up what i had in my collection...but when i think of nine patch quilts i think it in 1930's colors and prints. i'm still going to use up my stuff but i'm going to put these in there too. i'm pretty excited to add a ninepatch quilt under my belt. 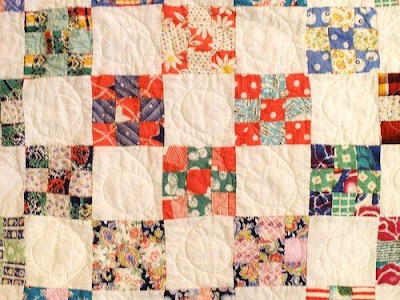 being a beginner i've only attempted squares and triangles and that buggy barn quilt, but i like simple quilts the best so i think this would be a great next quilt to do. this is the general idea of what i'm going to be slowly working on this next year. i want to finish it by at least next summer...but you know me sometimes i get going and it gets done a little quicker. schools just around the corner though and that means A LOT of different challenges on top of free time from children. we'll see how much time i'm allotted to work on my quilt! 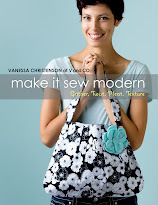 Where do you get your fabrics...they are amazing! hey...i'm making one almost like that for my girls room! i have a whole row done but you'll still probably beat me you quick woman. 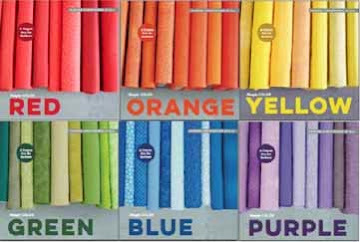 mel i got my fabrics in slc area, there are a few quilt stores that i hit every time i go up one is pineneedles in south jordan and another favorite is american quilting in orem. I'm coveting the new look of your blog, complete with the picture on top. I love those prints! and all the things you are making...especially the Katie quilt!! It was good hearing your voice today and talk to SOMEONE about Nessee or whatever her name is. we'll talk more soon. Love ya! Where, in this bless-ed, but hopelessly Mormon-handicraft stuck, state are you finding all this awesome fabric? Your quilts are fabulous, I think. Last week I found your blog and read through all of it and kept DROOLING jealously over all your fabrics and "thrift store" finds. You must have a magic DI. :) I can't believe all the cool stuff you find.